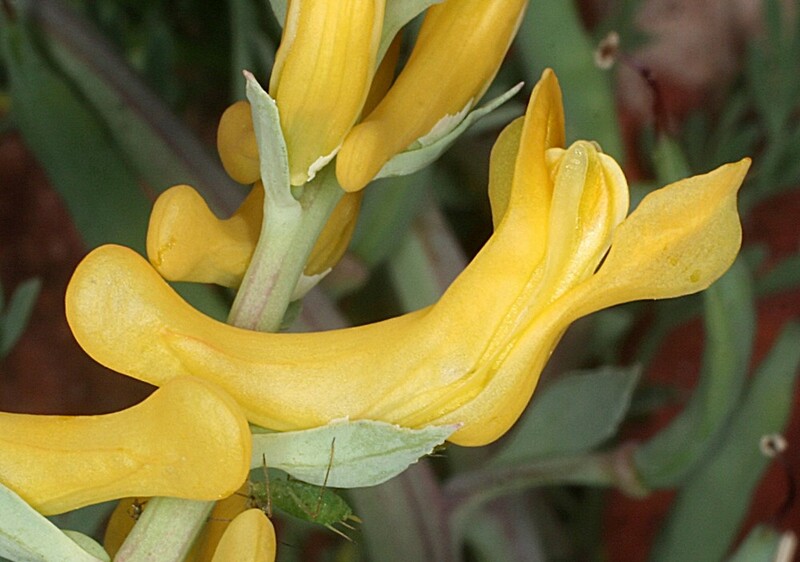 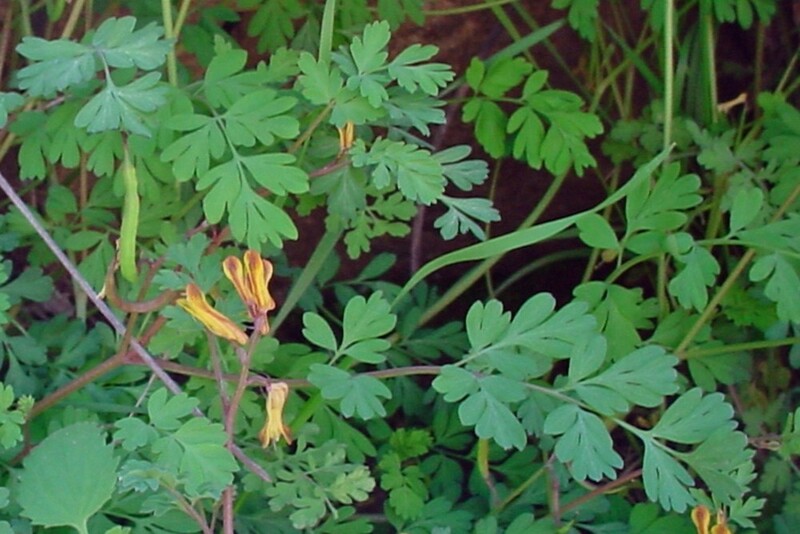 Golden corydalis is a rare native plant of lakeshore headlands and cliffs in New Hampshire and Vermont. 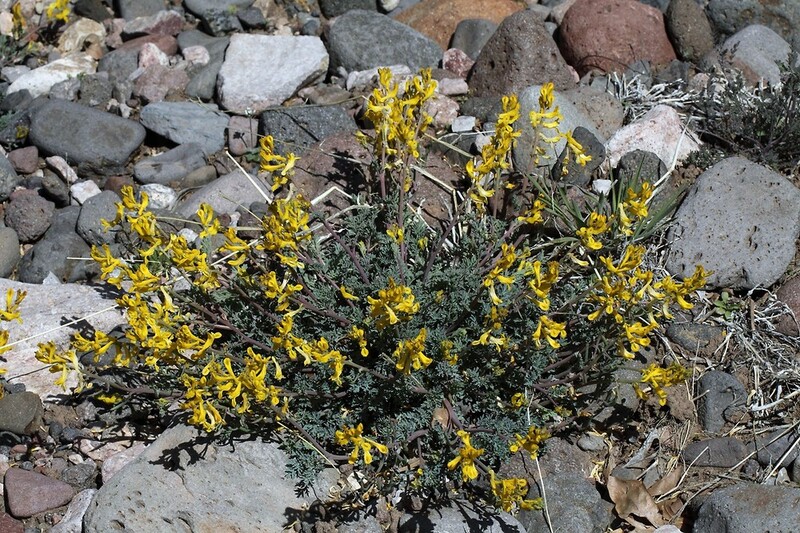 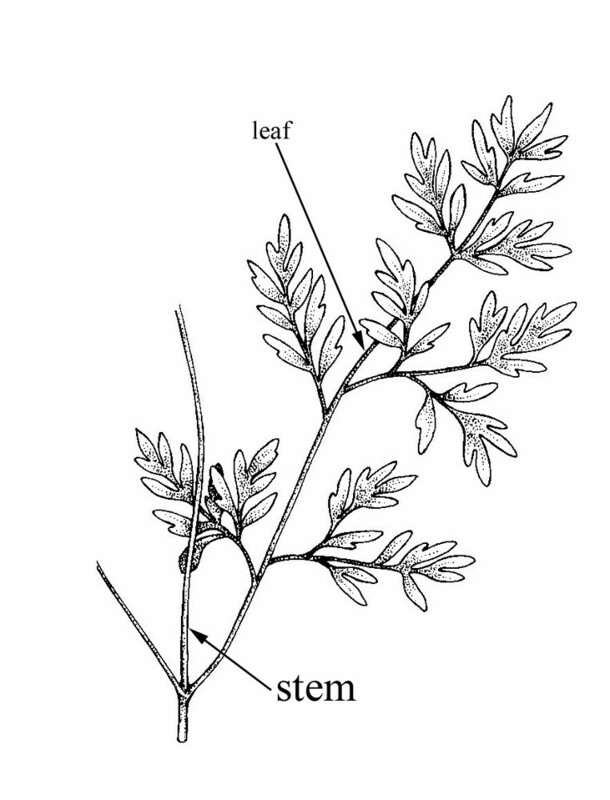 It also shows up in rocky woodlands in Massachusetts, where it is considered introduced. 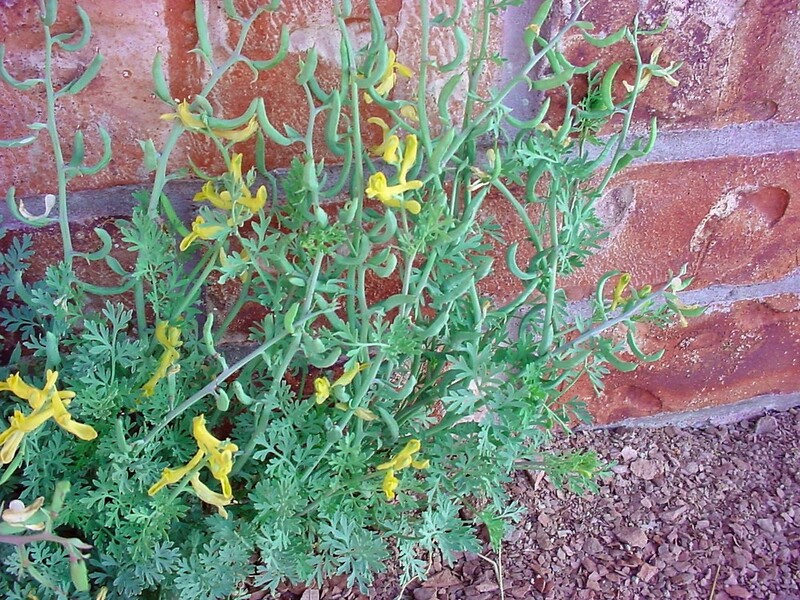 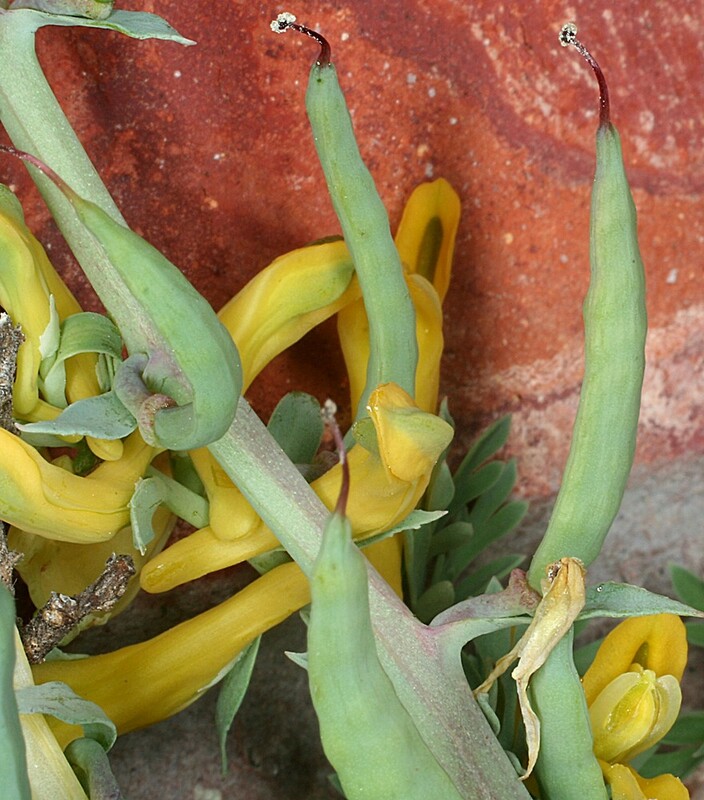 A member of the poppy family, it has small, tubular golden flowers and feathery leaves with a glaucous (white-green) cast. 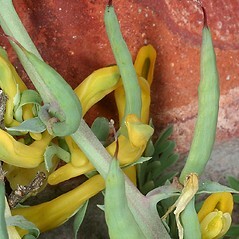 The flowers are pollinated by bees, although some species of bees "cheat" by boring into the flower for its nectar without collecting and transporting any pollen. 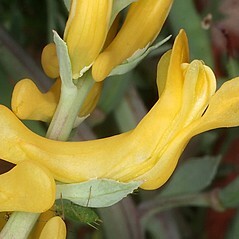 corolla pale yellow, 7-9 mm long, and spur 1-1.5 mm long (vs. C. aurea, with corolla bright yellow, 12–16 mm long, and spur 4-5 mm long). 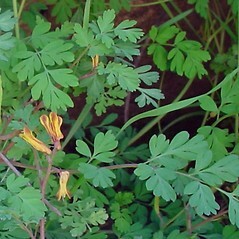 golden corydalis. 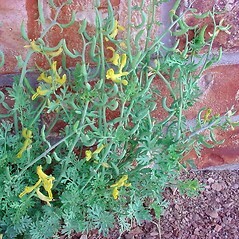 Capnoides aureum (Willd.) 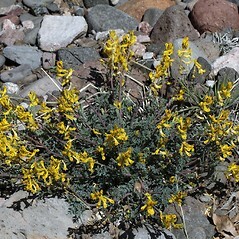 Kuntze; Corydalis washingtoniana Fedde • MA, NH, VT. Lakeshore headlands and cliffs, rocky woodlands. 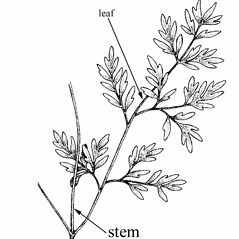 This species is non-native in MA and native elsewhere.